Mercy Johnson-Okojie has got some things in the works. 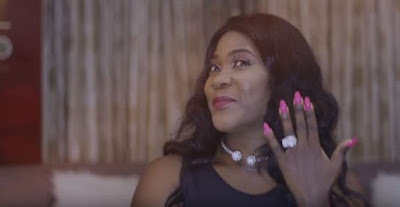 The Nollywood actress recently got 1 million followers on Instagram and to celebrate she announced the launch of her YouTube channel where she’ll be dropping what she calls her biography videos. So far she has released two videos. Watch them below. The super mum is also launching a web show in December 2016 which will focus on marriage, cooking and kids. It is called “Mercy, Cooking and Kids” and according to her, the show is especially for young marriages like hers, singles and teenagers. She says “let’s all grow together as better human beings.